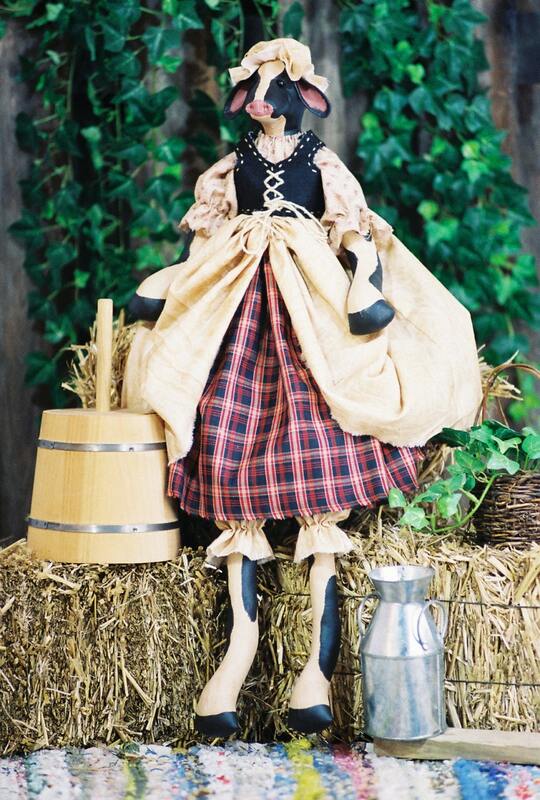 A beautiful country girl 24" Milk Maiden cow. Her body is muslin that is painted and stained. Face is needle sculpted. Top of apron is felt and is laced up the front. Makes a wonderful country home décor piece. Intermediate but easy to make skill level.